Simon Semaan is a CA ANZ, a registered tax agent and a registered SMSF Auditor. He is a well trained professional with over 15 years of extensive experience in public practice working for firms such as Ernst & Young and Moore Stephens. His strengths are working with small and medium enterprise focusing on tax planning, capital gains tax, management accounting and preparation of financial reports. 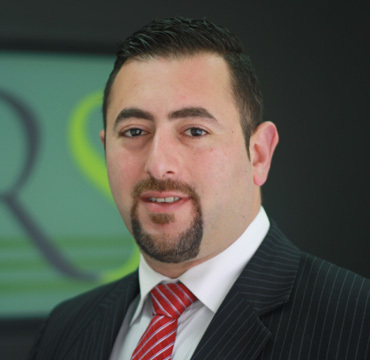 SRS Business & Accounting Solutions is a Chartered Accountant practice that was founded in 2010 by Simon Semaan. Our office is located in Parramatta, in the heart of Greater Sydney allowing us to provide professional and reliable service to clients Sydney wide. We also provide services to interstate and international clients which is only possible due to our dedicated staff and their commitment to ensuring all our clients receive the best possible service and advice. Offering a friendly yet professional service in a completely confidential environment we make your needs our priority offering a complete range of accounting, taxation, SMSF and business services. We recognise every client is different so our highly qualified and experienced team works closely with you to tailor our services to your needs. Our proactive approach allows us to develop the right strategies required to achieve your goals no matter what stage your business is at. We are open Monday to Friday, 9:00am to 5:00pm except for public holidays.